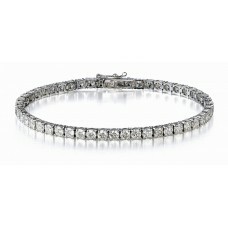 No jewellery lover can call their collection complete without the addition of a tennis bracelet. This beautiful piece features a remarkable collection of round brilliant cut diamonds in a perennial configuration that has stood the test of time. A timeless classic that will always be in style.